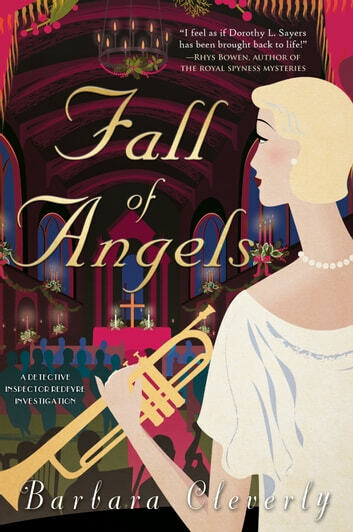 Barbara Cleverly, bestselling author of the Joe Sandilands series, introduces an ingenious new sleuth who navigates 1920s Cambridge, a European intellectual capital on the cusp of dramatic change. England 1923: Detective Inspector John Redfyre is a godsend to the Cambridge CID. The ancient university city is at war with itself: town versus gown, male versus female, press versus the police force and everyone versus the undergraduates. Redfyre, young, handsome and capable, is a survivor of the Great War. Born and raised among the city’s colleges, he has access to the educated élite who run these institutions, a society previously deemed impenetrable by local law enforcement. Redfyre finds himself anxious throughout a performance in which Juno charms and captivates her audience, and his unease proves well founded when she tumbles headlong down a staircase after curtainfall. He finds evidence that someone carefully planned her death. Has her showing provoked a dangerous, vengeful woman-hater to take action? When more Cambridge women are murdered, Redfyre realizes that some of his dearest friends and his family may become targets, and—equally alarmingly—that the killer might be within his own close circle.